Tweetbot 3 has just received a big update, adding a fistful of handy new features — including support for posting and viewing multiple images (although Tweetbot’s creators point out that these won’t show up on streaming timelines until Twitter adds support). The app update also means that image detail views show the corresponding tweet when relevant, while Instagram videos are marked with a new “play” icon to make the user interface clearer. 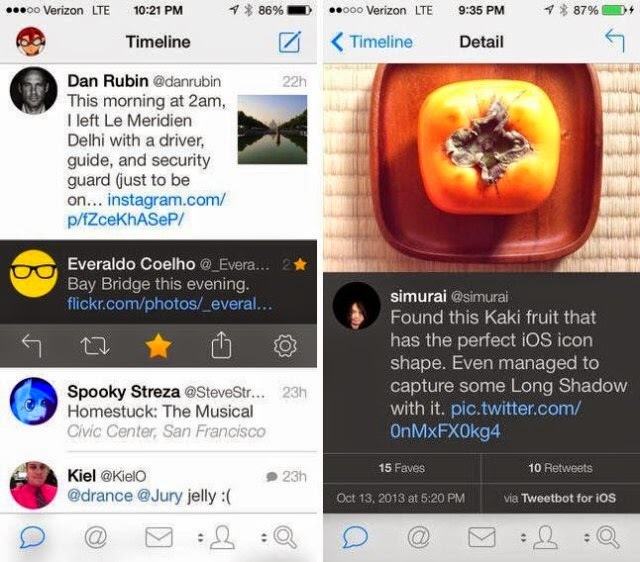 TweetBot is an awesome iPhone app for Twitter, I think it actually is the most popular third party Twitter Apps of them all. I only wish that the new version were available for the iPad too… It isn't, only the old version 2 UI is available, and I don't know why the new never gets released for the iPad.. Really strange.